Both the longest and the largest island in the contiguous United States, Long Island extends 118 miles (190 km) eastward from New York Harbor to Montauk Point, with a maximum north-to-south distance of 23 miles (37 km) between Long Island Sound and the Atlantic coast. With a land area of 1,401 square miles (3,629 km2), Long Island is the 11th-largest island in the United States and the 148th-largest island in the world — larger than the 1,214 square miles (3,140 km2) of the smallest state, Rhode Island. 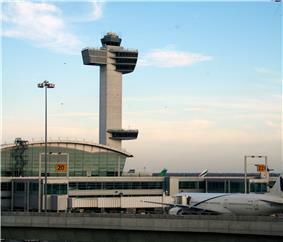 Two of the New York City metropolitan area's three busiest airports, JFK International Airport and LaGuardia Airport, as well as two major air traffic control radar facilities, the New York TRACON and the New York ARTCC, are located on the Island. Nine bridges and 13 tunnels (including railroad tunnels) connect Brooklyn and Queens (and thus Long Island) to the three other boroughs of New York City. Ferries connect Suffolk County northward across Long Island Sound to the state of Connecticut. 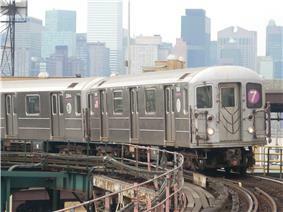 In addition, the Long Island Railroad is the busiest commuter railroad in North America and operates 24/7. At the time of European contact, the Lenape people (named the Delaware by Europeans) inhabited the western end of Long Island, and spoke the Munsee dialect of Lenape, one of the Algonquian language family. Giovanni da Verrazzano was the first European to record an encounter with these people, after entering what is now New York Bay in 1524. 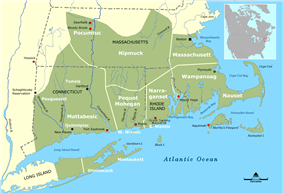 The eastern portion of the island was inhabited by speakers of the Mohegan-Montauk-Narragansett language group of Algonquian languages; they were part of the Pequot and Narrangansett peoples inhabiting what is now Connecticut and Rhode Island. Indian land deeds recorded by the Dutch from 1636 state that the Indians referred to Long Island as Sewanhaka (Sewanhacky and Sewanhacking were other spellings in the transliteration of Lenape). Sewan was one of the terms for wampum (commemorative stringed shell beads, for a while also used as currency by colonists in trades with the Lenape), and is also translated as "loose" or "scattered", which may refer either to the wampum or to Long Island. The name " 't Lange Eylandt alias Matouwacs" (later shortened to "Lange Eylandt") appears in Dutch maps from the 1650s. Later, the English referred to the land as "Nassau Island", after the Dutch Prince William of Nassau, Prince of Orange (who later also ruled as King William III of England). It is unclear when the name "Nassau Island" was discontinued. 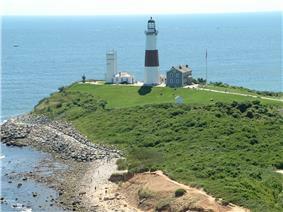 The very first settlements on Long Island were by settlers from England and its colonies in present-day New England. Lion Gardiner settled nearby Gardiners Island in 1637. 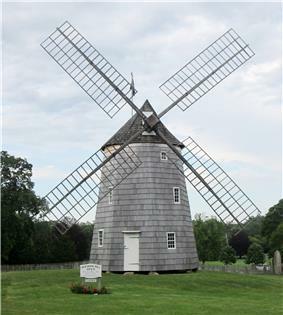 The first settlement on the geographic Long Island itself was on October 21, 1640, when Southold was established by settlers from New Haven, Connecticut. Southampton was settled in the same year. 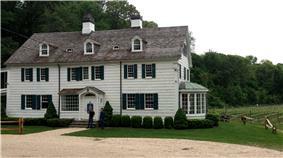 Hempstead followed in 1644, East Hampton in 1648, Huntington in 1653, and Brookhaven in 1655. 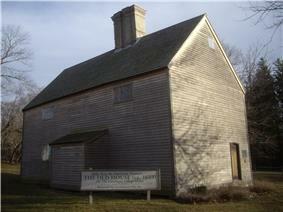 The Old House in Cutchogue, built 1649, is the oldest English-style house in New York State. Early in the Battle of Long Island, a decisive battle after which Washington narrowly evacuated his troops from Brooklyn Heights under a dense fog. 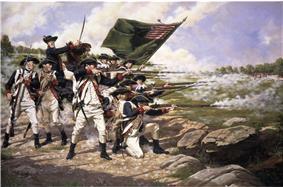 After the British victory on Long Island, many Patriots fled, leaving mostly Loyalists behind. The island remained a British stronghold until the end of the war in 1783. In the 19th century, Long Island was still mainly rural and devoted to agriculture. The predecessor to the Long Island Rail Road (LIRR) began service in 1836 from the South Ferry, Brooklyn, through Brooklyn to Jamaica in Queens. The line was completed to the east end of Long Island in 1844 (as part of a plan for transportation to Boston). Competing railroads (soon absorbed by the LIRR) were built along the south shore to accommodate travellers from those more populated areas. For the century from 1830 until 1930, total population roughly doubled every twenty years, with more dense development in areas near Manhattan. 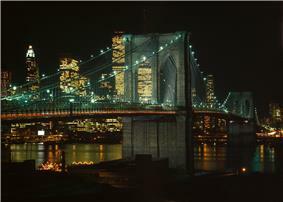 Several cities were incorporated, such as the City of Brooklyn in Kings County, and Long Island City in Queens. Charles Lindbergh lifted off from Roosevelt Field with his Spirit of Saint Louis for his historic solo flight to Europe. From the 1920s to the 1940s, Long Island began the transformation from backwoods and farms as developers created numerous suburbs. Numerous branches of the LIRR already enabled commuting from the suburbs to the city. Robert Moses engineered various automobile parkway projects to span the island, and developed beaches and state parks for the enjoyment of residents and visitors from the city. Gradually, development also followed these parkways, with various communities springing up along the more traveled routes. After World War II, suburban development increased with incentives under the GI Bill, and Long Island's population skyrocketed, mostly in Nassau County and western Suffolk County. Second and third-generation children of immigrants moved out to Long Island to settle in new housing developments built during the post-war boom. Levittown became noted as a suburb, where house construction was simplified to be produced on a large scale. These provided opportunities for GIs returning home to buy houses and start a family. The descendants of late 19th and early 20th-century immigrants from southern and eastern Europe, and black migrants from the South, have been followed by more recent ones from Latin America. These have created a diversity on Long Island lacked in other American regions. The population has many ethnic Irish, Jews and Italians, as well as an increasing number of Asians and Hispanics reflecting later migrations. By the start of the 21st century a number of Long Island communities had successfully converted their assets from industrial uses to post-industrial roles. Brooklyn reversed decades of population decline and factory closings to resurface as a globally renowned cultural and intellectual hotbed. 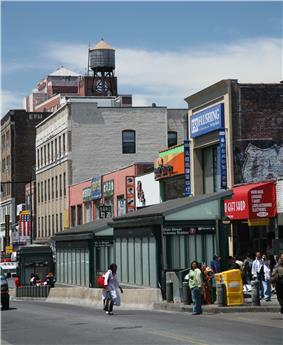 Gentrification has affected much of Brooklyn and a portion of Queens, relocating a sizeable swath of New York City's population. On eastern Long Island, such villages as Port Jefferson, Patchogue, and Riverhead have been changed from inactive shipbuilding and mill towns into tourist-centric commercial centers with cultural attractions. A flood occurred on August 13, 2014 in Long Island after record-setting rainfall deposited two months' worth of precipitation on the area. In its easternmost sections, Suffolk remains small-town rural, as in Greenport on the North Fork and some of the outward areas of The Hamptons, although summer tourism swells the population in those areas. The North Fork peninsula of Suffolk County's East End has developed a burgeoning Wine Country region. The South Fork peninsula is known for beach communities, including the prominently known Hamptons, and for the Montauk Point Lighthouse at the eastern tip of the island. The Pine Barrens is a preserved pine forest encompassing much of eastern Suffolk County. Long Island has a climate similar to that of other coastal areas of the Northeastern United States; it has warm, humid summers and cold, snowy winters. Under the Köppen climate classification, most of Long Island lies in a transition zone between a humid subtropical climate (Cfa) and a humid continental climate (Dfa). 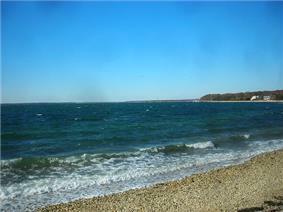 The oceanic climate zone (Cfb) only exists on the North Fork, the eastern end of the South Fork, islands in Peconic Bay, and Fishers Island, and is rare in eastern North America. Parts of the Harbor Hill Moraine are affected by a subtropical highland climate. The Atlantic Ocean brings afternoon sea breezes that temper the heat in the warmer months and limit the frequency and severity of thunderstorms. Long Island has a moderately sunny climate, averaging between 2,400 and 2,800 hours of sunshine annually. Due to its coastal location, Long Island temperatures are somewhat mild compared to the rest of New York state. The coldest month is January, when average temperatures range from 30 to 35 °F (−1 to 2 °C), and the warmest month is July, when average temperatures range from 70 to 80 °F (21 to 27 °C). Temperatures seldom fall below 5 °F (−15 °C) or rise above 95 °F (35 °C). Long Island temperatures vary from west to east, with the western part (Nassau County, Queens, and Brooklyn) generally warmer than the east (Suffolk County). This is due to several factors: the western part is closer to the mainland and more densely developed, causing the "urban heat island" effect, and Long Island's land mass veers northward as one travels east. Also, daytime high temperatures on the eastern part of Long Island are cooler on most occasions due to moderation of the Atlantic Ocean and Long Island Sound. On dry nights with no clouds or wind, the Pine Barrens forest of eastern Suffolk County can be almost 20 degrees Fahrenheit (11 degrees Celsius) cooler than the rest of the island due to radiational cooling. Average dew points, a measure of atmospheric moisture, typically lie in the 60–70 °F (16–21 °C) range during July and August. Long Island is somewhat vulnerable to hurricanes. Its northern location (and the relatively cool waters around it) tend to weaken tropical cyclones before they reach Long Island; nonetheless, several have stricken the Island as full hurricanes, including a devastating Category 3, the 1938 New England Hurricane (also known as the Long Island Express), and another Category 3, Hurricane Carol in 1954. Other 20th-century storms that made landfall on Long Island at hurricane intensity include the Great Atlantic Hurricane of 1944, Hurricane Donna in 1960, Hurricane Belle in 1976, and Hurricane Gloria in 1985. Also, the eyewall of Hurricane Bob in 1991 brushed the eastern tip. 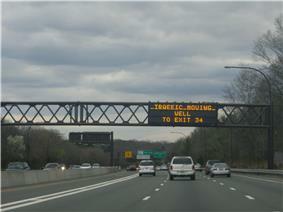 In August 2011, portions of Long Island were evacuated in preparation for Hurricane Irene, a Category 1 hurricane which weakened to a tropical storm before it reached Long Island. On October 29, 2012, Hurricane Sandy, a slow-moving "superstorm," reached the area causing 90% of Long Island households to lose power and an estimated $18 billion in damages in Nassau & Suffolk Counties alone. The storm also had a devastating impact on coastal communities in the Brooklyn and Queens portions of the island, including Coney Island in Brooklyn and the Rockaway Peninsula in Queens, although estimates of monetary damages there are usually calculated as part of the overall losses suffered in New York City as a whole. 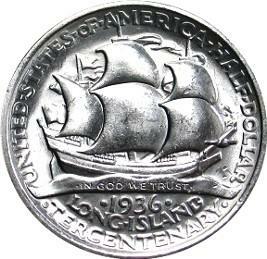 The extent of Sandy's damages is second only to those caused by the 1938 Long Island Express, when adjusted for inflation. Although a lower central pressure was recorded in Sandy, the National Hurricane Center estimates that the 1938 hurricane had a lower pressure at landfall. Hurricane Sandy and its profound impacts have prompted the discussion of constructing seawalls and other coastal barriers around the shorelines of Long Island and New York City to minimize the risk of destructive consequences from another such event in the future. Several smaller islands are in close proximity to Long Island and are often grouped with it. 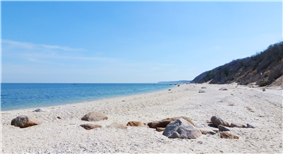 These islands include Fire Island, Plum Island, Robins Island, Gardiners Island, Fishers Island, Long Beach Barrier Island, Jones Beach Island, and Shelter Island. Long Island is one of the most densely populated regions in the United States. As of the United States 2010 Census, the total population of all four counties of Long Island was 7,568,304, which was 39 percent of the population of the State of New York. New York City's portion of the census was 4,735,538, with Brooklyn's population at 2,504,700 and Queens having 2,230,722 residents. Long Island's proportion of New York State's population has been increasing, with Long Island's Census-estimated population increasing 3.1% since 2010, to 7,804,968 in 2014, representing 39.5% of New York State's Census-estimated 2014 population of 19,746,227. According to the US Census Bureau's 2008 American Community Survey, Nassau and Suffolk counties have the 10th and 26th highest median household incomes in the nation, respectively. Long Island contains one of the world's largest populations of Jews (יהודי), both secular and non-secular. 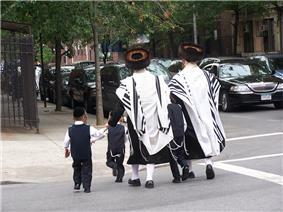 Brooklyn is a major center for the growing following of Orthodox Judaism and is about 23% Jewish overall. 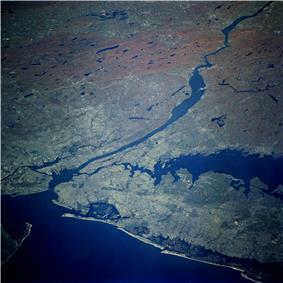 Long Island is home to some of the wealthiest communities in the United States, including The Hamptons, on the East End of the South Shore of Suffolk County; the Gold Coast, in the vicinity of the island's North Shore, along Long Island Sound; and increasingly, the western shoreline of Brooklyn, facing Manhattan. In 2015, according to Business Insider, the 11962 zip code encompassing Sagaponack, within Southampton, was listed as the most expensive in the U.S. by real estate-listings site Property Shark, with a median home sale price of $5,125,000. 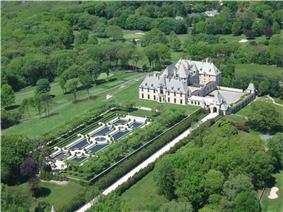 The counties of Nassau and Suffolk have been long renowned for their affluence and local businesses. 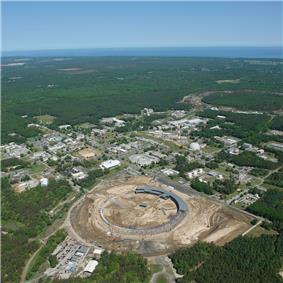 In recent decades companies such as Sperry Rand, Computer Associates (headquartered in Islandia), Zebra Technologies (now occupying the former headquarters of Symbol Technologies and a former Grumman plant in Holtsville), have made Long Island a center for the computer industry. 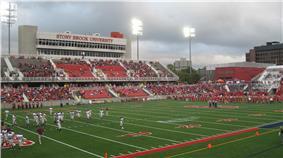 Stony Brook University of the State University of New York conducts advanced medical and technology research. 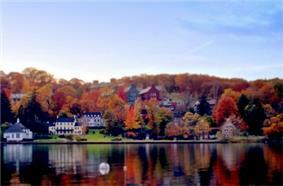 Long Island is also home to the Cold Spring Harbor Laboratory, which was directed for 35 years by James D. Watson (who, along with Francis Crick and Rosalind Franklin, discovered the double helix structure of DNA). 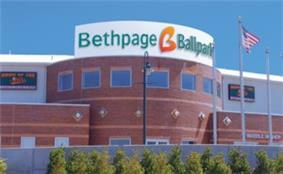 Long Island is home to the East Coast's largest industrial park, the Hauppauge Industrial Park. The park has over 1,300 companies employing more than 71,000 Long Islanders. Companies in the park and abroad are represented by the Hauppauge Industrial Association. 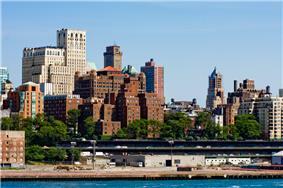 As many as 20 percent of Long Islanders commute to New York City jobs. The eastern end of the island is still partly agricultural. In the last 25 years, development of vineyards on the North Fork became a major new industry, replacing potato fields. Pumpkin farms have been added to traditional truck farming. Farms allow fresh fruit picking by Long Islanders for much of the year. Fishing continues to be an important industry, especially at Huntington, Northport, Montauk, and other coastal communities of the East End and South Shore. Brooklyn and Queens, on the other hand, do not have county governments. As boroughs of New York City, both have Borough Presidents, which have been largely ceremonial offices since the shutdown of the New York City Board of Estimate. Long Island is home to two Indian reservations, Poospatuck Reservation, and Shinnecock Reservation. Both reservations are in Suffolk County. Numerous island place names are Indian in origin. Queens and Brooklyn are patrolled by the New York City Police Department; Nassau and Suffolk counties respectively have the Nassau County Police Department and Suffolk County Police Department. New York State Police patrol state parks and parkways. Several dozen villages and the two cities in Nassau have their own police departments. Both Nassau and Suffolk each have a sheriff's office that handles civil process, evictions, warrant service and enforcement, prisoner transport and detention, and operation of the county jail. The secession of Long Island from New York was proposed as early as 1896, but talk was revived towards the latter part of the twentieth century. On March 28, 2008 Suffolk County, New York Comptroller Joseph Sawicki proposed a plan that would make Long Island (specifically, Nassau and Suffolk counties) the 51st state of the United States of America. Sawicki says that all the Long Island taxpayers' money would stay on Long Island, rather than the funds being dispersed all over the entire state of New York, and Long Island sending to Albany over three billion dollars more than it receives back. The state of Long Island would include over 2.7 million people (larger than that of fifteen other states). So far Nassau County executives have not expressed interest in joining in the secession proposal, which would need to be approved by the NY State Legislature. The Long Island Rail Road (LIRR) is the busiest commuter railroad system in North America, carrying an average of 282,400 passengers each weekday on 728 daily trains. Chartered on April 24, 1834, it is also the oldest railroad still operating under its original name. The Long Island Expressway, Northern State Parkway, and Southern State Parkway, all products of the automobile-centered planning of Robert Moses, are the island's primary east-west high-speed thoroughfares. Long Island's Nassau and Suffolk counties are the home of 125 public school districts containing a total of 656 public schools. In contrast, all of Brooklyn and Queens are served by the New York City Department of Education, the largest school district in the United States. Long Island is also home to a number of private and parochial schools. Long Island is home to a range of higher-education institutions, both public and private. Brooklyn and Queens contain five of eleven senior colleges within CUNY, the public university system of New York City and one of the largest in the country. Among these are the notable institutions of Brooklyn College and Queens College. Brooklyn also contains private colleges such as Pratt Institute and the New York University Polytechnic School of Engineering, an engineering college that merged with New York University in 2014. Nassau and Suffolk counties are similarly served by community colleges, as well as several colleges and universities within the SUNY system, notably Stony Brook (for its health sciences research and medical center). Private institutions include the New York Institute of Technology, Hofstra University and Adelphi University (both located in the Town of Hempstead), as well as Long Island University (with its C.W. Post campus, located on a former Gold Coast estate in Brookville, and a satellite campus in downtown Brooklyn). 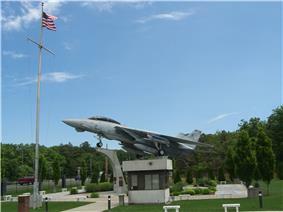 Long Island also contains the Webb Institute, a small naval architecture college in Glen Cove. In addition, the island is home to the United States Merchant Marine Academy, a Federal Service Academy located in Kings Point, on the North Shore. Music on Long Island (Nassau and Suffolk) is strongly influenced by the proximity to New York City and by the youth culture of the suburbs. Psychedelic rock was widely popular in the 1960s as flocks of disaffected youth travelled to NYC to participate in protest and the culture of the time. 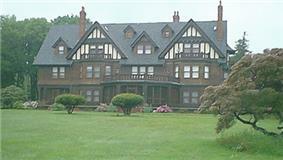 R & B also has a history on Long Island, especially in areas close to New York City. In the late 1970s through the 1980s, the influence of radio station WLIR made Long Island one of the first places in the U.S. to hear and embrace European New Wave bands such as Depeche Mode, the Pet Shop Boys, and Culture Club. In the 1990s, hip-hop became very popular with rap pioneers Rakim, EPMD, and Public Enemy growing up on Long Island. Recently, new bands have been making a name for themselves originating from Long Island such as Brand New, Austin Schoeffel and Envy on the Coast. Famous rock bands that originated on Long Island include The Rascals, The Ramones (from Queens), Dream Theater, Blue Öyster Cult, Twisted Sister and guitar virtuosos John Petrucci, Steve Vai and Joe Satriani. Rock and pop singer Billy Joel grew up on Long Island and his youthful life there is reflected in some of his music. Long Island is also known for its school music programs. Many schools in Suffolk County have distinguished music programs, with high numbers of students who are accepted into the statewide All-State music groups, or even the National All-Eastern Coast music groups. Both the Suffolk County and Nassau County Music Educator's Associations are recognized by The National Association of Music Education (MENC), and host numerous events, competitions, and other music-related activities. 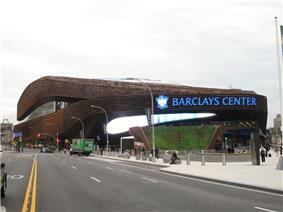 The Barclays Center, a new sports arena, business, and residential complex built partly on a platform over the Atlantic Yards at Atlantic Avenue in Brooklyn, is the current home of the Brooklyn Nets basketball team and the New York Islanders hockey team. 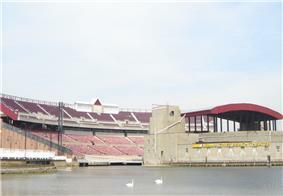 The move from New Jersey in the summer of 2012 marked the return to Long Island for the Nets franchise, which played at Nassau Veterans Memorial Coliseum from 1972 to 1977. The Islanders played at Nassau Coliseum from their 1972 inception through 2015. 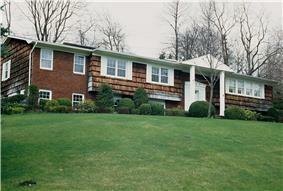 Long Island has a wide variety of golf courses that span all over. One of the most famous is the public Bethpage Black Course that has hosted multiple U.S. Open's as well as The Barclays with the most recent during the year 2012. 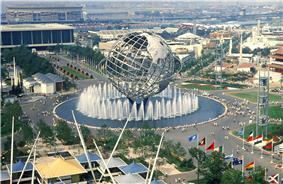 Queens also hosts one of the four tennis grand slams, the US Open. Every August (September, in Olympic years) the best tennis players in the world travel to Long Island to play the championships, which is held in the USTA National Tennis Center, located adjacent to Citi Field in Flushing Meadows Park. 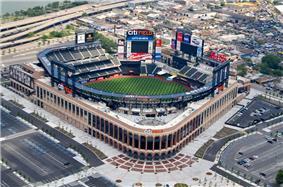 The complex also contains the biggest tennis stadium in the world, the Arthur Ashe Stadium. Ebbets Field, which stood in Brooklyn from 1913 until its demolition in 1960, was the home of the Brooklyn Dodgers baseball team, who moved to California after the 1957 Major League Baseball season to become the Los Angeles Dodgers. The Dodgers won several National League pennants in the 1940s and 1950s, losing several times in the World Series—often called Subway Series—to their Bronx rivals, the New York Yankees. The Dodgers won their lone championship in Brooklyn in the 1955 World Series versus the Yankees. Despite this success during the latter part of the team's stay in Brooklyn, they were a not-very-good second-division team for much of their history there - but nonetheless became legendary for the almost-fanatical devotion of the Brooklynites who packed the relatively small ballpark to vigorously root for the team they affectionately called "Dem Bums." Loss of the Dodgers to California was locally considered a civic tragedy that negatively affected the community far more than did the similar moves of other established teams to new cities in the 1950s, including the Dodgers' long-time arch-rival New York Giants, who also left for California after 1957. The New York Dragons of the Arena Football League also played their home games at Nassau Coliseum. Long Island has also been at the forefront of Semi-Professional football. The Empire State Demon Knights of the Five Star Football League have called Long Island their home since they relinquished the name Kings County Wolfpack and moved to Suffolk County. 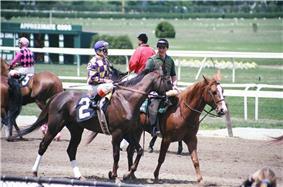 Long Island is home to numerous famous athletes, including Hall of Famers Jim Brown, Julius Erving, John Mackey, Whitey Ford, Nick Drahos, and Carl Yastrzemski. Others include Gold Medalists Sue Bird, Sarah Hughes and Derrick Adkins, D'Brickashaw Ferguson, Billy Donovan, Larry Brown, Rick Pitino, John McEnroe, Jumbo Elliott, Mick Foley, Zack Ryder, Matt Serra, Boomer Esiason, Vinny Testaverde, Craig Biggio, Frank Catalanotto, Greg Sacks, Rob Burnett, Steve Park, Frank Viola, Chris Weidman, Marques Colston and Speedy Claxton. Several current NHL Players such as Vancouver Canucks Christopher Higgins and Matt Gilroy, Nashville Predators Eric Nystrom, Toronto Maple Leaf Mike Komisarek, and Pittsburgh Penguin Rob Scuderi were all born and/or raised on Long Island. Both Komisarek and Higgins played on the same Suffolk County Hockey League team at an early age, and later played on the Montreal Canadiens together. Nick Drahos was an All Scholastic and All Long Island honoree at Lawrence High School, Nassau Co. in 1936 and 1937, and a 2-time Unanimous National College All-American in the years of 1939 and 1940 at Cornell University. ^ a b c Churches were asked for their membership numbers. ARDA estimates that most of the churches not reporting were black Protestant congregations. ^ Bolger, Timothy. 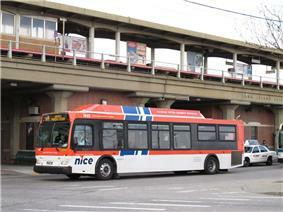 (December 30, 2011) NICE Bus Replacing Long Island Bus This Weekend | Long Island Press. Archive.longislandpress.com. Retrieved on 2013-07-21.